Happy World Kindness Day! We hope that each of you are taking the time today to focus on being more kind to the people around you and committing acts of kindness in your communities. To celebrate this day, we would like to share a story about a very special woman named Soraida López. 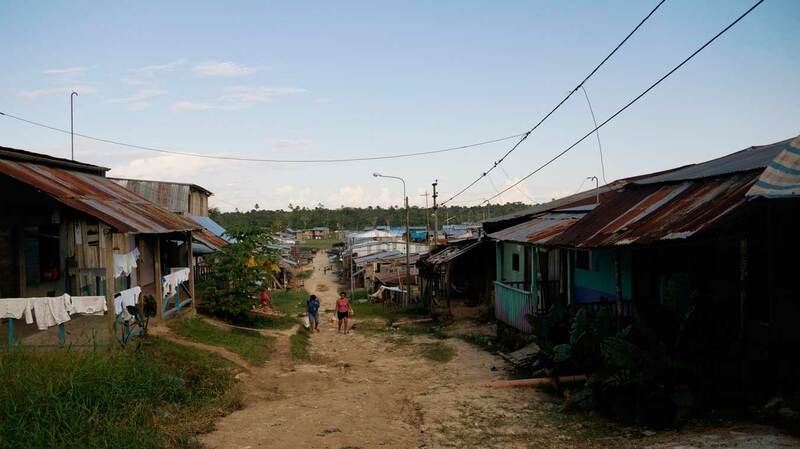 Soraida grew up in the community of Nuevo Mundo where she started listening to Minga Peru’s radio program “Bienvenida Salud”, with her mother 12 years ago. As Soraida listened to the program, she wondered about the people who created the program and dreamed of meeting them one day. Eventually, Soraida moved out of her parents’ home and started a family with her partner, but despite life changes, her interest in “Bienvenida Salud” stayed constant. One day, as she was listening to the radio program, an announcement was made that the radio program team would be visiting Nuevo Mundo. This was Soraida’s chance! She had dreamed of meeting the people behind “Bienvenida Salud” because they seemed so interesting discussing topics such as the prevention of violence and family planning. These were the problems her community was facing and she felt that the program was making a positive impact addressing the problems while offering meaningful solutions. The team from “Bienvenida Salud” planned a meeting with all of the radio listeners in the Nuevo Mundo community. At the meeting, the team invited listeners to attend a training with Minga Peru, a Peruvian non-profit organization that produces the radio program. The training would teach the listeners more about the topics covered in the radio program so that they could communicate these messages with more women in the community. Soraida was excited and interested in the opportunity to learn, but she felt intimidated because as a child she did not have the opportunity to learn to read or write. She believed that she could not teach others because she had not finished school and no one would listen to her. Even though she had doubts, Soraida shyly offered to participate in the training. She explained her doubts to the team of Minga Peru and they offered to help her overcome her insecurities to complete the training. Soraida was extremely happy because it was the first time that someone had seen the potential in her to learn. The training impacted Soraida profoundly. Before the training, she spoke quietly and without confidence, but by the time the training ended, she became a leader. Not only did she learn to read and write, but she also was an expert on important topics like the prevention of illness, human rights, environmental protection, and communication in the household. However, not everything was perfect for Soraida after the training. She found that her husband was resistant to this change in Soraida. She felt hurt because he was not appreciative of how happy she was by everything she learned from Minga Peru. Soraida managed to use her newfound skills in communication to help her husband understand her and she began to see a change. After seeing the effects of this training in her very own home, Soraida wanted as many women as possible to experience the empowerment and personal growth she felt as a community leader. She decided to do replicas of Minga Peru’s training so that the other women in her community could learn the same information she had learned. She found that helping others also helped her improve upon what she had learned in the training. She also began to give talks in schools. 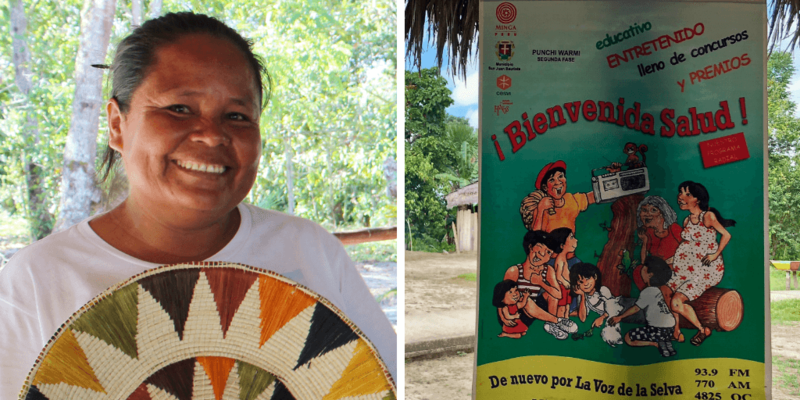 Her community was small and there had been challenges with teaching reproductive health in the schools, but Soraida knew that this was an important topic in Nuevo Mundo. She spoke with the teachers and school directors until she was granted the space and time to facilitate conversations with the students. Through these conversations, she was able to teach the students how to prevent pregnancies and sexually transmitted infections. Today, Soraida feels proud of the teacher she has become. She appreciates the opportunity to learn to read and write as an adult and the gift of being able to teach important topics to community members. She continues working with women in the community and in schools and has grown to be a true community leader who anyone can turn to for reliable advice. Community leaders “promotoras”, like Soraida, are women leaders who create a social impact in the Amazon by actively participating and assuming leadership roles in their communities. By sharing their knowledge, they build networks of empowered women, the same was Soraida has done in Nuevo Mundo. Soraida is one of the most active community leaders of the more than 1200 women empowered by Minga Peru. 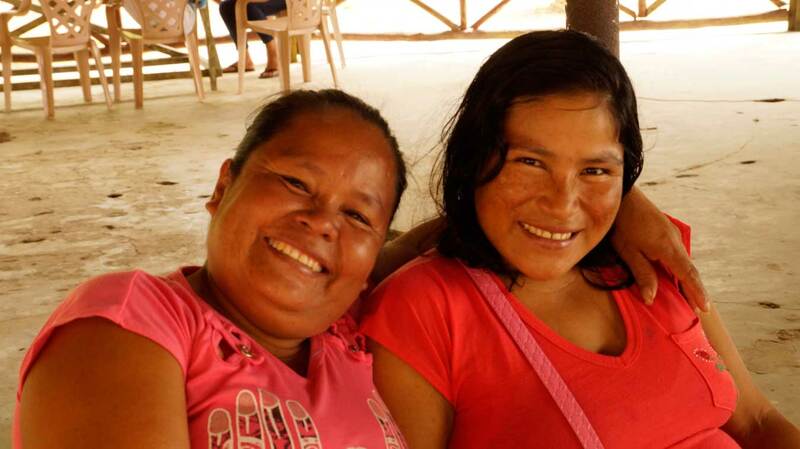 You can help Minga Peru empower more women from the Amazon like Soraida to become leaders and create a bigger social impact in their own communities. Support Minga Peru today. Donate here.